Presently, the laws governing the admiralty jurisdiction of courts and related aspects of maritime law in India are too obsolete. The jurisdiction of the High Courts to entertain maritime disputes flow from the letters patents. The legal system on this subject has been established by the British, and there is no local legislation in India dealing with the same. The only statute that exists is the Colonial Courts of Admiralty (India) Act, 1891, “and that is a subordinate legislation under section of an English enactment viz. the Colonial Courts of Admiralty Act, 1890.” For more than a century, there has been no development in this area of law. Even the Supreme Court has noted the need to update the legislation related to admiralty jurisdiction and maritime law. Further, similar recommendations to have update the statutes have also been made by the Law Commission of India. A bill seeking to achieve the same was introduced in the parliament in 2005, however, it lapsed. More than a decade later, another Bill – The Admiralty (Jurisdiction and Settlement of Maritime Claims) Bill, 2016 – has been introduced. The bill aims to regularize and make uniform several aspects of admiralty law, including conferring admiralty jurisdiction to several high courts, dealing with maritime claims and liens and the orders of their priorities, and providing for the procedure of proceedings among several other things. This paper seeks to analyze the provisions relating to arrest of ships in the proposed bill. It shall briefly discuss the concept of arrest of ships. It shall then analyze the position proposed in the bill with respect to arrest of ships, and then compare it briefly with the prevailing international law and position in other countries. The paper seeks to understand whether the bill would bring uniformity in the laws, or whether there are gaps left out despite an update to legislation coming over a century later. Before moving on to analyze the provisions of the bill with respect to arrest of ships, it is necessary to briefly look at what it means to arrest a ship. It shall be useful to consider an illustration. Suppose a party suffered some legal injury and now moves the court against the ship owner. The court orders the ship owner to pay to the party a certain sum of money for the legal injury caused, but the ship owner refuses to pay. Now the party can move the court for attachment of ship owner’s property. However, what if the ship owner has already disposed the assets off? The decree would be of no value. Thus, as an interim measure to secure the position of a claimant, arrest of ships comes in. The claimant can approach the court and invoke its in rem jurisdiction to obtain an order for arrest of the ship. It is a mechanism to protect the interests of the claimants and to ensure that justice is not defeated by simply taking the ship out of the court’s jurisdiction. If the ship owner fails to comply with the orders of the court, the ship may be sold to satisfy the judgment-debt. The idea is similar to that of a freezing injunction, except that ‘arrest of ships’ predates ‘freezing injunction’. The concept of freezing injunction (or Mareva Injunction, as it is often called) arose out of an English case, The Mareva. The present paper deals only with the arrest of ships, however. The bill extensively discusses the arrest of ships and other related matters. It appears that adequate attention has been given since the definitions, powers, protections, etc. have all been explicitly and properly laid down. Section 2 (1) (c) defines arrest as “detention or restriction for removal of a vessel by order of a High Court to secure a maritime claim including seizure of a vessel in execution or satisfaction of a judgment or order.” It is interesting to note that ‘arrest’ has not been limited to removal for security against a claim only, but has been explicitly made to include seizure for execution proceedings or other orders as well. While even otherwise the courts would have ruled that ‘arrest’ includes such seizure implicitly, this ensures that there remains no ambiguity. the claim is against the owner, demise charterer, manager or operator of the vessel and is secured by a maritime lien as provided in section 9. Provided that no vessel shall be arrested under this sub-section in respect of a maritime claim under clause (a) of sub-section (1) of section 4. 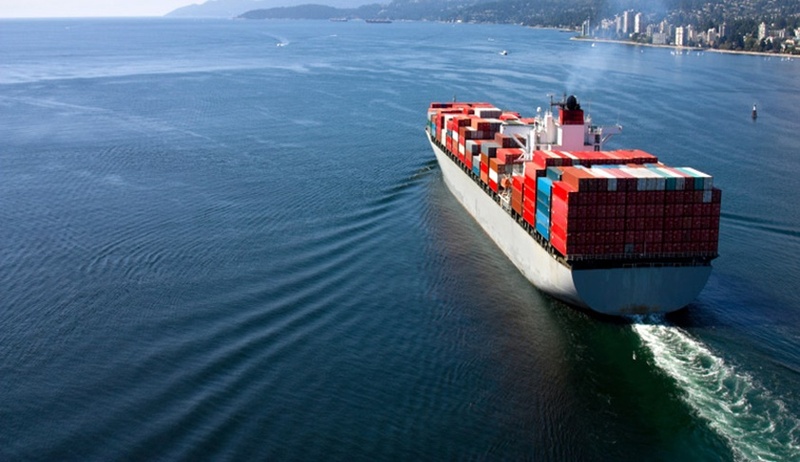 To simplify, a ship may be ordered to be arrested if there are claims against the owner, claims relating to ownership, or claims secured by maritime liens. These claims easily fall under the qualifications listed under article 3 (1) of the 1999 Arrest Convention viz. claims against the owner of the ship; claims against the demise charterer of the ship; claims based upon a mortgage; claims relating to ownership; claims against the owner, charterer or operator based on maritime lien. What is interesting here is the sub-section (2), which confers on the high courts the power to order arrest of associated and sister ships. However, it is to be noted that there are no safeguards or limits to this power of the high court. In fact, the subsection does not use the words associated ships or sister ships. While this part may be construed keeping in mind the legislative intention to mean that only associated and sister ships may be arrested, it nonetheless leaves ambiguity and room for potential judicial interpretation. There may be an instance of courts using this provision to arrest ships not associated with the owner or the claim, and the issue. The only restriction on this subsection is with respect to claims under Section 4 (1) (a), i.e. dispute regarding ownership of a vessel. This restriction is only logical since only the ship the ownership of which is disputed needs to be arrested for the judgment to be successfully enforced. Further, this is in consonance with the international law as well. The bill also provides for protection of owner, operator, etc. from misuse of arrest provisions by a party. Section 11 provides that the high court may ask a claimant to provide an undertaking to pay damages or to pay security for any damage that the defendant may suffer due to arrest. It gives a non-exhaustive list of two cases in which such security or undertaking may be demanded by the court: “(a) the arrest having been wrongful or unjustified; or (b) excessive security having been demanded and provided.” The bill thus (as with several other things as well) explicitly lays down the principles admiralty law to codify and ensure consistency and certainty. It appears thus that in itself, with respect to arrest of ships, the bill is sufficient and complete in laying down the provisions and providing certainty. However, as pointed out above, some points of ambiguity still remain over which it could be improved. To understand the bill properly and to adequately analyze its position with respect to situation in contemporary law, we shall now very briefly look at the provisions under the international law and in other legal systems. Under the present bill, the court may demand security for arrest of a ship. In Germany, Sweden, Finland, and Spain, among others, security is a mandatory requirement (unless exceptional conditions exist). On the other hand, in many jurisdictions such as France, Italy, Portugal, China, Hong Kong, Denmark, among others, the security is at discretion of the court. Under the 1999 Arrest Convention, the discretion lies with the court to order security for protection of the owners. Continuing from the ‘sister ships’ provision discussed in the previous section, as per the 1952 Convention, the ‘sister ship’ rule does not apply in cases of claims of mortgage. It is interesting to note that no such restriction exists in the Admiralty Bill. According to the 1999 Convention, arrest of ships may only be made in respect of a maritime claim. It appears that the Admiralty Bill is in conformity with this provision, since Section 5 only permits arrests for maritime claims. It appears that mostly, the bill does take into consideration and derive from international law. For instance, the title and contents of Section 11 are quite similar to the title and contents of Article 6 of the 1999 Convention. Similarly, resemblance in phrases and language exists in the Admiralty Bill and international conventions. Nonetheless, a few pointers from these conventions, etc. have been left out, though the intention behind doing or the reason for doing so remains unclear. The Admiralty Bill pulls the framework for settlement of maritime claims forward by a great extent, but it would appear that there still exists room for some improvement. Even though India is not a signatory to the above mentioned international conventions, it has nonetheless moved towards uniformity. The Bill presents a major overhaul by codifying and laying down the principles. However, as pointed out in this paper, even bringing a law more than a hundred years later, a few things have been left ambiguous or left out completely. Nonetheless, the Bill would be a great advancement to the maritime regime and jurisprudence in India, provided it gets passed by the Parliament (before lapsing like the 2005 bill). Statement of Objects and Reasons, The Admiralty (Jurisdiction and Settlement of Maritime Claims) Bill, 2016 (Bill 258 of 2016). See also, generally, Maritime Jurisdiction and Admiralty Law in India, Samareshwar Mahanty (New Delhi: Universal Law Publishing Co., 2009) pp.47-66. Maritime Jurisdiction and Admiralty Law in India, Samareshwar Mahanty (New Delhi: Universal Law Publishing Co., 2009) p. 52. Law Commission of India, 151st Report. The Admiralty Bill, 2005 (Bill 68 of 2005). Article 3(2), International Convention on Arrest of Ships, 1999; Article 3(1) read with Article 1(1), International Convention Relating to the Arrest of Sea-Going Ships, Brussels, 1952. Berlingieri on Arrest of Ships: A commentary on the 1952 and 1999 arrest conventions, Francesco Berlingieri (informa, 2011) p.388. Article 6, International Convention on Arrest of Ships, 1999. Article 3 read with Article 1, International Convention Relating to the Arrest of Sea-Going Ships, Brussels, 1952. Article 2, International Convention on Arrest of Ships, 1999. Nipun Arora is a student of 4th Year, B.A. LL.B. (Hons.) at Jindal Global Law School.